A very qualified individual, with global professional credentials and first world work experience, hired by third world governments with the main purpose of rubbing off their credibility on the regime without necessarily being allowed to make bold and sustainable changes. Know one such person? Tell us in the comments. Too many sickos around. Too many. These are individuals and all kinds of groups and movements. They threaten everyone from dead grandparents to whole tribes of people. Some fighting their parents’ generational battles and others starting imaginary ones. They are everywhere…from FB to Nairaland and Twitter. They come in all hues and speak all kinds of tongues, including yours and mine. Some motivated by politics and economic sustenance while others are driven by corporate/communal ego. Why amplify them by forming a lynch mob against them? I just ignore them because they’re mostly insignificant. What is achieved by putting down a hater with no influence when we have those with clout, following and weapons, making hate speeches and threatening the whole country all over YouTube and on televised interviews? Argh! It is going to hurt. There was never a question as to my favourite holiday country. 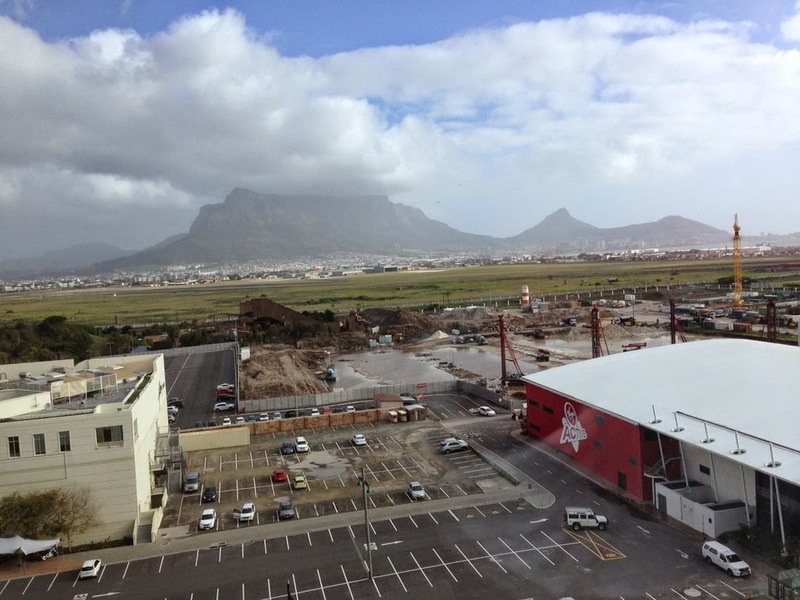 In the pix below is the famous trio of Table Mountain, Lion head and Signal Hill down yonder. Smiling face says “Sir, we apologise for delaying your check-in. However we will make it up to you. You’ve got the best room in the hotel”. Was too tired to appreciate those words. Just wanted to do dinner, draw enough of my 12 year old Scottish elixir to knock me into much needed sleep. I wake up late in the morning, pull the blinds on the full wall window and voila! The Mother City’s most prized assets on full display. A sight to behold even in the hazy weather of their June winter season. Been there done that…but this was different. Siya was def going to get a good tip at checkout. The evening belonged to Long street. Full of Cafes and lounges…HIt Chez Nthemba and thank me later. Still have the Wine and Garden Route drives on my bucket list…but alas! This #Xenophobia of a thing kwanu! As Nolu P puts it,The Republic of Cape Town is different…they love everybody. I suppose so…with Rainbows everywhere…what can I say. But now I’m not so sure. There’s too much savage imagery in this head of mine. The sour taste of complicity right at the top is just too strong to expunge…that lack of interest from Zuma…the laughing policeman…Too many hateful scenes stored in my RAM. Emmanuel Sithole, knifed and bleeding to death in a Township gutter while his neighbours watched. A gaping hole left in my heart. It reminds me of how I felt after #BuniYadi…but its different. Too many acquiescing onlookers. Please end the #Xenophobia and #Afriphobia. A #XenophobicSA will only hurt you in the end. 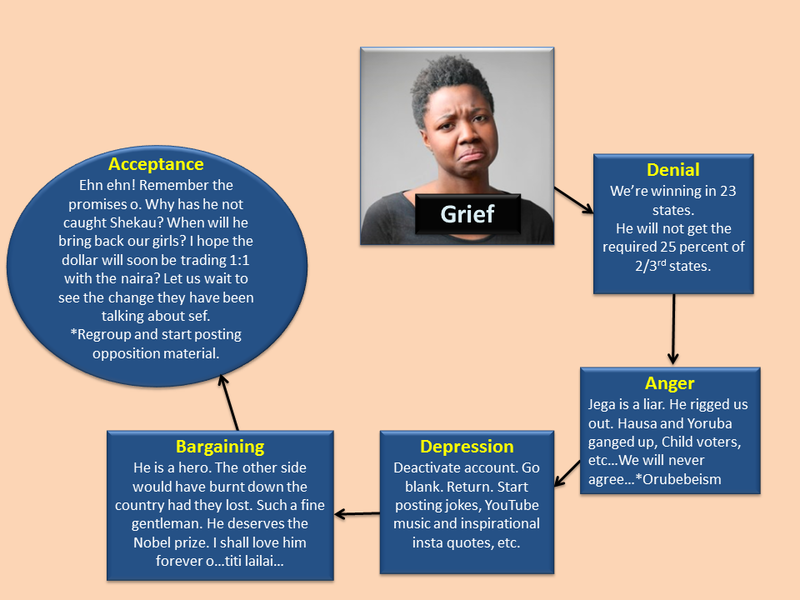 The pictorial uses the “Stages of Grief” to aptly describe the observable behaviors of the PDP online supporters in the aftermath of the 2015 Nigerian general elections. It attempts to reflect how deeply personal the outcome has been for some people. This is strictly copyrighted material and cannot be used without permission. APC’s Marshall plan as outlined by Dr. Kayode Fayemi, APC director of programs during the April, 2015 Edition of the LBS Breakfast Club in Lagos. 1. The cardinal agenda of the APC government and over-arching themes will be SECURITY, CORRUPTION and UN-EMPLOYMENT; APC believes that corruption has a very strong negative link to both security and unemployment. 2. There will be no ‘real action’ until around October 2015, partly because the 2015 budget is GEJ’s and may be fully approved in April 2015; the new APC government will seek to align the electoral and fiscal calendars to avoid this type of problem in future. 3. A corrupt-free cabinet will be announced very quickly, within one week of inauguration on 29/5/15; anyone with a whiff of corruption or other tainting or pending corrupt charges will NOT be appointed into APC’s cabinet; GMB’s body language will reflect ZERO tolerance for corruption. STEALING WILL BE DEEMED AS CORRUPTION. 4. APC is not a conclave of cardinals or saints or angels but includes the good, the bad and the ugly; in Nigeria, the bad and the ugly can be the biggest electoral assets but GMB’s government will not interfere with law enforcement agencies or the judiciary even if APC members are involved. 5. The VP elect, did a lot of work as commissioner of justice in LASG and will bring this to a major revamp of the judiciary to complement anti-corruption drive and the rule of law; he will also anchor the economic committee. 6. The new APC government will continue with some of the programs in the GEJ administration, which were successful, for example Agriculture, but there will be a stronger collaboration between FGN and the states. 7. A very LEAN government is the main focus for APC/GMB; this will involve resolving overlapping and redundant MDAs; largely in line with the Steve Oronsaye presidential committee report; this report was available to GEJ’s government but the will to implement it was absent. 8. Rather than strengthen key anti-corruption agencies like EFCC, ICPC and SFI, these are likely to be consolidated and a single entity will be made more effective and empowered to BARK & BITE HARD unlike the present comatose agencies. 9. APC believes that CBN is getting over-burdened by developmental finance issues, at the expense of its core objectives; this will be changed and improved. 10. Subsidy on petroleum products will certainly be removed and the industry will be reformed as a matter of priority in order to attract new investments. 11. While power reform has been commendable, and will continue, the approach will change. Transmission will be deregulated, regionalized and privatized in order to break down centralized transmission; issues of gas supply to Gencos will be addressed but the new APC government believes that DISCOs are the biggest bottlenecks presently; the APC government plans to add-on 4,000 MW of power every year and expect that output will be a minimum of 12,000 MW at the end of term of this 4-year mandate. 12. APC’s think-tank detailed work indicate that N3 trillion in savings can come out of plugged leakages; we believe that the employment drive will be private sector led. The government will allow market forces to prevail, including foreign exchange; GMB will NOT use fiat to fix the exchange rate; however the government will keenly seek to protect the more economically vulnerable segments of the society. 13. There will be tightening of the tax loopholes but NO tax rate hikes or increase. FIRS will be strengthened and the Lagos state IGR template will be adopted at the national level. 14. While the infrastructure gap requires huge capital outlay which the government does not have, a master-plan will be developed; a situation where the recurrent budget is almost 80% and capital budget only 20% is not acceptable. 15. Nigerians are advised to familiarize themselves with the contents of APC manifesto and APC code of ethics which are available ONLINE and also, the Steve Oronsaye report. Thank you Nigerians for your mandate, support and cooperation. Together, we will make this county, Nigeria, great again. Text of speech given by the speaker of the Ekiti state house of assembly on the impeachment notice served on the governor though another faction of legislators. I did not direct Ekiti sief judge to constitute any investigative panel. Sequel to our previous correspondence to the sief judge of Ekiti state…judiciary, dated the 4th of April 2015, the clak and hai haf again cause to be written to the sief judge yet another letter refuthing the letter purportedly emanating from the hoffice of the speakers of the Ekiti house of assemble, mandating im the sief judge of Ekiti state to constitute any or an investigatives panel in relacion to an impeasment notice whis allegedly emanated from my office as Ekiti state speaker. For the avondance of dot, I wis to categorically state, here now before you gentlemans of the press and the whole world…at large, that the said letter directing the sief judge of the state to constitute an investigative panel did not emanate from the Ekiti state house of assemblies as requiyad by law. We never wrote any letter to the sief judge directing im to constitute any investigative panel neither was the house involved in any impeasment proceedings against the esekutive governors of Ekiti state in persons of Mr. Ayodele Fayose. In further refutacions of the ongoing briggage I wis to state that the former speaker, Dr. Adewale Omirin, was dulay removed as the speakers for Ekiti state house of assembly on the 20teet daays of Novermber 2014, and his removal paved a way for my legitimate emergence as the new speakers of our dear state. Hin prove of my incumbencies and the control of the state house of assembly, I haf here with me, that is they are presently here with me, the clak of the house of assembly. The clak of the house of assembly…without whom no legitimate sittings of the house can take place. No legitimate sittings of the house can take place without the present of the speakers of the house of assembly…or the the the clak of the house of assembly. I halso have here present the sagent at hams of our dear state…these are the sagent at hams. And the entire routines of the state house of assemblies and the MACE of the house of assembly. Has I said earlier on, the hod and the new mace of the assembly. It is common knowledge that all the legitimate cessons of heny house of assembly take place onlay inside the hellow cembers of the hosue of assembly. Onlay inside the hellow cembers of the hosue of assembly, as enstrined by the Nigerian constitucion. Indeed, heny other purpoted sitting of the house at any other location outside the hellow cembers of the hosue of assembly is null and void, and of no effect whatsoever. This is more so when sus sitting purportedlay took place without the principal officers here present with me. Accordinglay I haf by my side, letter by the sief judge of Ekiti state judiciary, honourable Justice Daramola, to discontenance all letters, resolucions, proceedings, prostests emanating from the impeased speaker, Dr. Adewale Omirin, or any other percon or percons impasonating my percon or my hoffice. I haf also copied the sief judge of Nigeria, the directors of department of state security services and the commicioner of police, so that they can jointly assist me in the apprehensions of this impozor and his cohort before they cause further breakdowns of laws and order and further avocs on Ekiti state and his people. Part one, earlier in November 2014. The current gale of defections of PDP members to the APC just shows you the quality of individuals that the party is made of. When people like BAT stood alone and made Lagos a rallying point for an emerging opposition, after the rout by OBJ, those spineless ones who rushed to the PDP held on for dear life. Today, after withering the storm and building a viable opposition which eventually became the ruling party, they’re now all scampering to join. Shameless folks. I hear three SE senators are on their way too; obviously baited by the opportunity of becoming senate president in the next dispensation. The APC has officially denounced these defections, asking the fortune hunting politicos to remain in their sinking ship. But, the reality is that no citizen of Nigeria can be prevented from joining any political party…even if the individual switches and decamps quicker than a yoyo changes positions. It is a guiding rule of our political party structure. What needs to happen is internal self-regulation by the APC. They need to guard their image and ensure the mandate given them by Nigerians is not sullied by these cheap tricks from the PDP who have chosen to re-christen themselves as “Politically Displaced Persons”. These ones who should be staying and re-grouping in order to present themselves a strong opposition so as to deepen our democracy by maintaining the checks and balances, have chosen, instead, the path of “alignment”. They cannot bear to exist outside the halls of power and influence. Buhari made it clear a few days ago when he said “All decampees should know that they are losers who are coming to join winners. They should not expect any patronage or political positions. At best, they may have some influence in their constituencies”. Our ever cerebral BRF completes the matter thus: “You cannot stop sinners from trooping to Church or the Mosque; you just don’t give them the pulpit”. Personally, I do not see a big deal in not being an indigene of my place of residence, which currently is Lagos. I am a citizen of Lagos and that is enough. I do not believe in double dipping. My family arrived in Warri circa 1970/71. Through our almost 40 year sojourn, we also built houses, created employment and added value. In turn, we received many blessings in that town. We made friends, engaged in all kinds of endeavors and had relative peace. Yet, a day came when people suddenly started adding their native middle names to their name. The Niger Delta/Resource Control era was born. Edafe, Onanefe, Ovie, Efemena, etc., started showing up on tags that previously just read “James” or “Jacob”. And then you had to go to your local government area HQ or your King to bring a letter of indigence before you could get rebate at the government clinic for specialist care, etc. You could not be on some contractors’ lists in Shell (SPDC) without coming from certain places. Suddenly the most important word in Warri became “community”. You could not come from Okumagba area and freely be a bricklayer in Uvwie, etc. Yet we thrived. My cousin, Ishola from Shagamu, was beaten so badly by “youths” in Uvwie/Effurun that he lost hearing in one ear permanently. What was his crime? Setting up a bakery in their land, without making them shareholders through the instrument of never ending forced cash calls or “deve” as it was then known. We blamed him. He should have known not to question the culture, etc. But no grudges held. My roots are still firmly planted in that town. Till date I have all kinds of interests there. I would never disparage her or her people. I will continue to hold them in high esteem and treasure my memories founded on experiences and interactions from my roots at James Street to Okumagba layout all the way to Airport road, Bendel estate, Ighogbadu and Nana primary schools, etc. I still share a strong sense of brotherhood with folks from Warri whenever we meet. But I never considered myself more than a citizen. I could run for and win a seat in their government or even get appointed a public service executive. We even had Yoruba people get chieftaincy titles in Delta state. But that’s as far as it would go. We could never be considered for local scholarships, community related job placements and other such “indigene” entitlements. That would be the point where it would be asked: where are you from? And, regardless of where you were born and how long you’ve lived there, you dare not say Alaka, Udumusobo, Effurun-Otor, Ogidigben, Big Warri or Okpe. Again, that is the structure of our society. My experience as a current resident of Eti-Osa is similar in some aspects. I am an “Omo Ijebu” from Ogun State. Even with sharing the same tongue with my new neigbours. The background of Lagos state, still being the most liberal space in Nigeria, notwithstanding. I do not fight it. I respect it. I would thrive in it. All that is needed is mutual respect and understanding. I must point out here that Lagos State has no record of denying people access to the deliverables of governance based on “where they are from”. 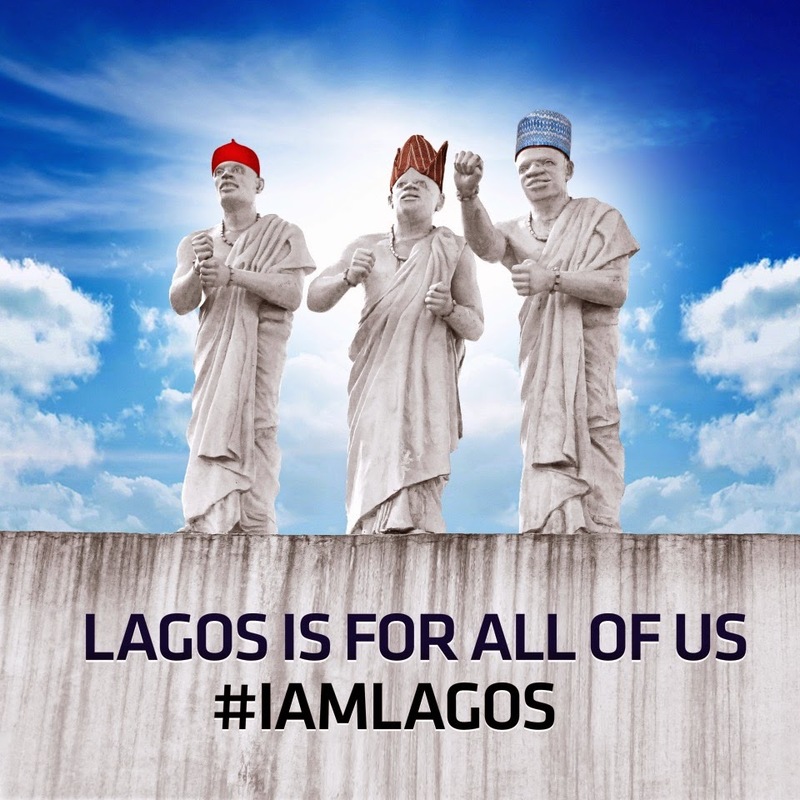 People are quick to point to Lagos being a federal capital as the reason why her people must now lose their heritage. I wonder if Calabar, the first Nigerian capital city, ever had the same “free hold” status. Also, most people do not realize that “Lagos State” was never a Nigerian capital; “Lagos City” was. Lagos as a federal capital territory was made up of three municipal areas, namely: Lagos Island, Victoria Island and Ikoyi/Obalende. The rest of Lagos comprising of the Mainland metropolis, Ikorodu, Epe and Badagry and other hinterland territories, were under the administration of the Western Region. Lagos has traditional institutions, culture and history that date as far back as before 1630 when the first recorded Oba of Lagos reigned. Prior to this time, the land had been inhabited by the Aworis who moved down from Ile-Ife, circa 1400s, with their leader – an Oduduwa prince named Olofin, to Iddo, Isheri and Isale Eko. Olumegbon, Aromire, Oniru, Oluwa, Onisiwo, Elegushi and Onitolo were all children of Olofin Agbodere. The Aworis started doing business with the Europeans in 1472 when a trade expedition arrived in Lagos Island from Portugal. Lagos was peacefully annexed by the Benin Kingdom, initially as a trade outpost, with a Benin prince named Ado becoming the first recorded Oba of Lagos in 1630. Badagry, Ikorodu and Epe have always been well established towns in their own right. Here is a recent quote from Chimamanda Adichie “Every Nigerian should be able to live in any part of Nigeria. The only expectation for a Nigerian citizen living in any part of Nigeria is to be law-abiding. Not to be ‘grateful.’” As much as I agree with this statement, I would also caution that peaceful coexistence requires social intelligence and a display of sensitivity and empathy from all of us. As a people, we still cling to certain traditions. No one likes their heritage or the legacy of their fore fathers to be wished away on the altar of inclusion and the need to conform to a cosmopolitan outlook. So you see, as “invincible and insignificant” as they may be, there are original Lagos indigenes out there; and they are no different from the folks in Ilesha, Awka, Zaria, Ekpoma or Agbaro, diluted as their society may seem. It is not only disrespectful and mischievous to call Lagos a no man’s land, it can also be termed as offensive behavior. In all the areas where Obas were dollarized in the run-up to the presidential elections, the one who brought the dollar rain eventually lost. In a democracy, it is difficult to coerce people to vote against their conscience. The process INEC operates, gives you a fair chance to decide and exercise your option through a secret ballot! While I will not denigrate the position of the Oba, I will say here that he was wrong. He had no right to decree a position on electoral choices. His statement on retributive action was not only inappropriate but callous and capable of causing a disturbance of the peace and sowing/promoting disharmony between two tribes that have lived together peacefully in Lagos, even before his ascendance. That being said, it is not my place to apologize for his actions. Though I am from Ogun state, I am a resident of Lagos just like the Igbos who were so harshly vilified. We have equal stakes as citizens of Lagos. What I feel instead is shame for seeing this self-inflicted embarrassment on the royal stool and a deep sense of empathy for every Igbo and non-Igbo resident who shares the pain and indignation from those damning words. The Oba alone must take responsibility for his actions. I have heard it said, that he spoke in parables; that the Yoruba translation of his English statement was just saying “anyone who goes against the Oba ends up in the sea”…like some kind of traditional metaphor. It is still inexcusable in this modern age. Especially as our “subject” status, where applicable, is more ceremonial in this day when our civil governments are actually in charge. I can tell you for free though, that regardless of any regret he feels, he is not going to be apologizing anytime soon. Unfortunately, It is an abomination in our culture, for a king to take back his words. While it is instructive to note that the Oba does not speak for the APC or any of her candidates, some damage has obviously been done. The Ambode camp must be in some kind of confusion now. What are they to do? They cannot come out to openly dissociate from the Oba. That in itself will be an insult. Also, the Oba has been an unapologetic supporter from day one, often putting himself in the line of fire for this candidate. This is coming at a time when so much gain have been made across several groups and the momentum was soaring, riding on the back of the presidential elections victory of the APC. The refrain has been: APC in Lagos and at the centre. Synergy at last! Then this happens. Folks were still not buying. He had to do something more. Like every great statesman, your mettle is proven in times of adversity. Obama did something that turned the game around and greatly increased his profile. After several press releases and rebuttals, he gave his famous speech titled “A More Perfect Union”. It scored 1.2 million views on YouTube within the first 24 hours of posting. In that speech, he showed his empathy, honesty, weakness and resolve to address difficult issues. As a US resident at that time, I would never forget the buzz generated by that speech across the whole country. It was electrifying as it was soothing. It served as some kind of healing balm for millions of Americans who had previously been unable to speak up about the racial tensions in their society. It rallied the democrat base and his ratings soared across most polls. In addition to this speech, he publicly denounced and severed ties with Rev. Wright and ended his romance with his Church. Democrat pressure groups also prevailed on Reverend Wright to discontinue giving press interviews through the period of the elections. We all know how the elections gave the democrats an unprecedented landslide, even across traditional battlegrounds. Where is this leading to? If you are more than a casual onlooker you would see that we have a less than perfect union in Nigeria. Did you see the voting pattern in the last elections? Only the Southwest had anything close to a diverse spread. Both top presidential candidates were in a 60/40 on the average. Some parts of the North central also had close scores. The story in the rest of the country especially in the SE/SS and NW/NE was something else. I digress. Though largely prompted by politicians, Lagos is the latest symptom of this ugliness. There is growing apprehension within the Lagos traditional institutions, and indeed, a large part of the indigene populace, that their society is being diluted and their choices and resolve are at risk of being subsumed by folks who may not share the same interests or have the same traditional ties to common centres of power. This was what you heard the Oba echoing. He spoke out of a growing anxiety and concern. The refrain was: The Igbos have just won electoral positions (again) in certain areas of Lagos, as is their constitutional right, and now they’re “threatening” to subvert the wishes of the Oba and vote against his preferred candidate. This is the root cause of the drama and harshness we saw in that video. In several quarters, people are already calling Lagos a “no man’s land’. This is also not helping matters. It activates a sense of defense and protection of that which people think is about to be taken from them. They fear for their heritage. The rhetoric, on both sides, both online and in the streets has not been helpful. I hope we arrest this before it tips over. What can Ambode do? Is it his cross to bear? I suspect his chances will be impacted by the backlash from the Oba’s actions. As such, his party needs to come up with some immediate mitigating actions. 1. Air a brief speech, expressing your belief in the safety, security and freedom of expression and political choice of ALL Lagosians. a. Assure us that your government will not discriminate on the basis of ethnicity and religion, etc. b. Speak of your personal experience in FGC that has come to shape your diverse worldview, your lifelong friends, etc. c. Speak of the great strides of your party and their governors in showing their belief in diversity. Use the LASG example. (Lagos leads here by the way). d. Say that you hope that people will vote for your party because of your record of performance and the promise of the continuation of the gains of the previous administration. And that they are free to vote for any candidate of their choosing…you will still be their governor if you win, regardless. No retribution of any kind. In conclusion, Akinwunmi Ambode is my candidate. I know the views he shares. He being one whose “Lagos indigene-ship” has also been questioned through this electoral season. Beyond that he has 27 solid years of serving Lagos state with several performance records. I do not see this egg-in-the-face as being strong enough to derail his aspiration. In the end Lagosians will rise above sentiments and do what is needed for Lagos to have a better chance at increased prosperity, good governance and a more perfect union.